Help, My Cat is Itching All the Time! Lois, there are many potential causes for what you describe. we'll go through the most likely ones and hopefully you'll be able to help Bogart. You mentioned that he doesn't have fleas. 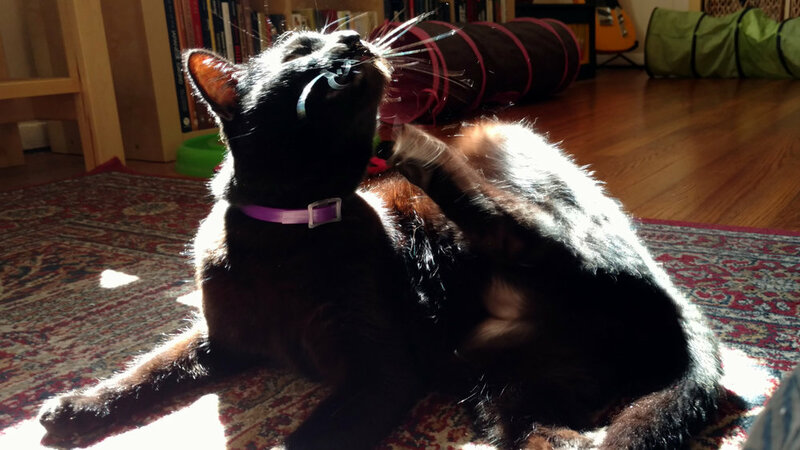 Just be aware that cats who develop flea allergy dermatitis can itch for days from a single bite. Their allergic reaction can be severe, and severely uncomfortable for them. Don't assume there are no fleas just because you haven't seen any. 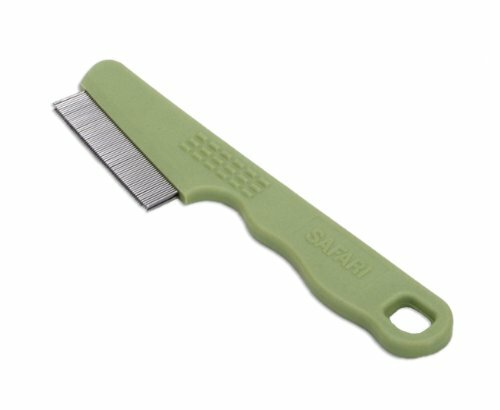 Get a flea comb (we like the double-row combs) and carefully comb around Bogart's head and neck to see if you can find any fleas. Have a large cup of water with a drop or two of dish detergent in it and dip the comb in that to dispense with the fleas if you find any. If you do find fleas, we have a post on getting rid of them here: http://kittyhelpdesk.com/help-desk/flea-control-for-cats . Just be aware that the effectiveness of these methods depend a lot on the environment you live in. We've heard of people ridding their home with fleas using nothing but a flea comb and a vacuum cleaner daily, but it takes diligence. If you want to purchase a flea control product, the only one we recommend is lufenuron. Thanks to the fine folks at LittleCityDogs.com, lufenuron flea treatments are readily available and inexpensive. You simply add it to your cat's food once a month. Lufenuron is unique in that it acts as birth control for fleas, so it doesn't kill the adults. For that, we recommend the flea comb method. You can also administer Capstar (nitenpyram) as needed along with the lufenuron. If Bogart is scratching around his face and brows a lot, he could have a food allergy. Cats are especially prone to allergies to fish protein, so eliminate fish from his diet first. Your first line of defense has to be choosing the best food you can afford to offer Bogart. We have a post on our food recommendations here: http://kittyhelpdesk.com/help-desk/best-cat-food-and-treats . Especially note the links presented in the post that will take you to rankings and info about many commercially available foods. The third most likely culprit is stress. Cats hide stress very well, but it eventually manifests as overgrooming or scratching. Moving so often has certainly taken a toll on Bogart. To reduce his stress, try to stick to a daily schedule with him and give him places in your home that he can retreat to without being bothered. Feliway makes products intended to reduce stress in cats but we've only had limited success with them. We think the best solution to stress is a solid schedule, plenty of quiet time, and gentle attention. When you can afford it, Bogart should see a veterinarian just to make sure he doesn't have mites or some other parasite. We wish you and Bogart all the best! Newer PostHelp, My Cat Has Feline Acne! Older PostHow Do I Get My Cat to Play?